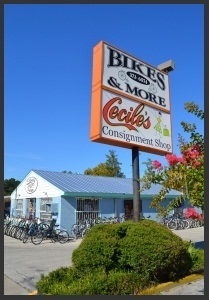 Bikes and More is a family owned and operated shop providing bicycle sales and service to Gainesville, Florida. We are committed to providing the best repair service possible. Our mechanic staff is available to answer questions and offer expert opinions on any repair needs you may have. Our sales staff is happy to talk bikes with you and help you find and equip the perfect bike for you. We are all here to help! Bikes and More is Floridas #1 dealer of Surly bikes and Brooks Saddles.Stop by anytime to check out our extensive stock of quality merchandise, get a repair consultation, schedule a free professional bike fitting, or just to chat! Looking for a new bike that will continue working like new? We are proud to offer Free Adjustments For Life with the purchase of any new bicycle!